I am a member of BzzAgent, who graciously give me free items in exchange for a reviews. 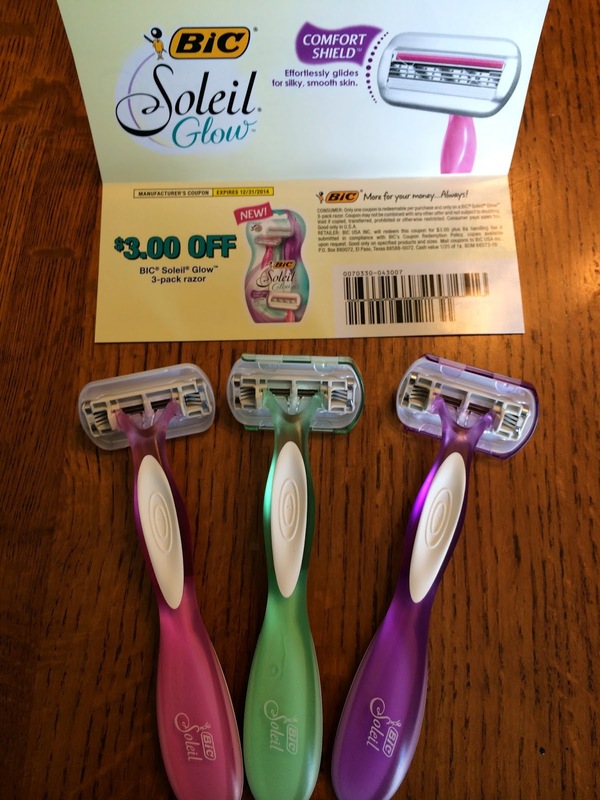 This time, I gladly received a 3 pack of BIC Soleil Glow razors. I alway like receiving these types of items, because, as most people probably do, you find one you like and stick with it. This forces me to try other brands and see what else is available to me! First thing you notice about these are the awesome colors right! I mean, its not like they are a new shirt or a pair of shoes that other people see, but it's still nice to appeal to the feminine side of all the ladies. The pastel colors are very nice. 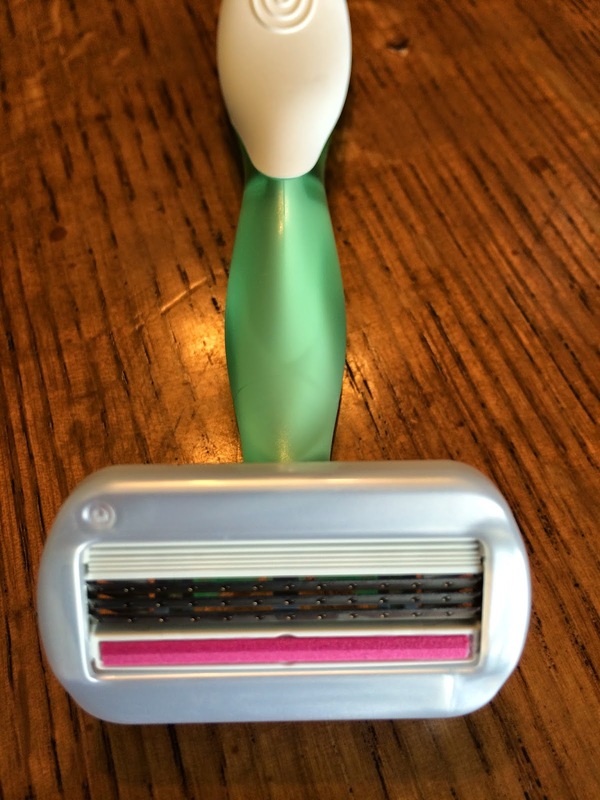 The pivoting head on the razor is also great because it helps get around those harder areas (ie: ankles and knees). I haven't received one cut from this razor, which I get from time to time with others because I shave so quickly. Finally the rubber grips on the handles are nice. It helps that it's not so slippery when you are shaving in the shower. Overall, I would definitely recommend this product. Since I am one for disposable razors anyways, I will probably be getting these from now on. 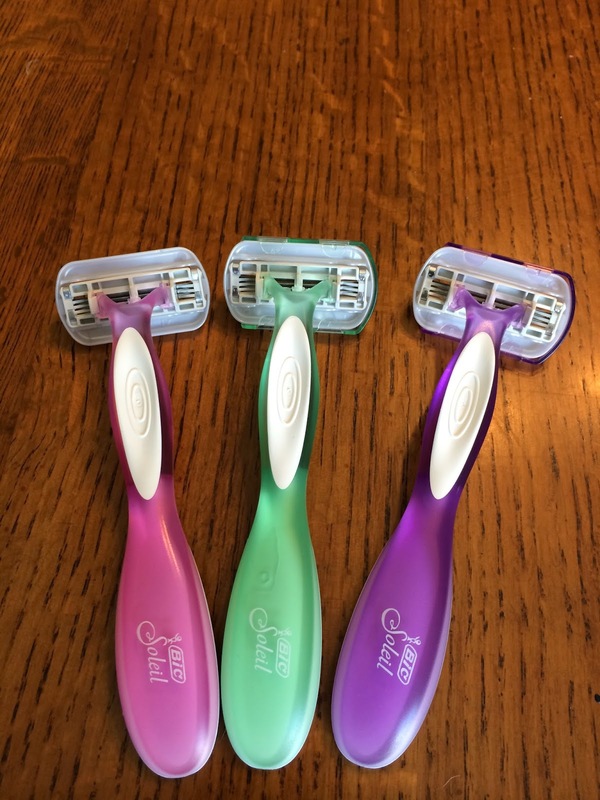 I have been using the first one for two weeks now, and there has still been no clumping or anything on the razors!